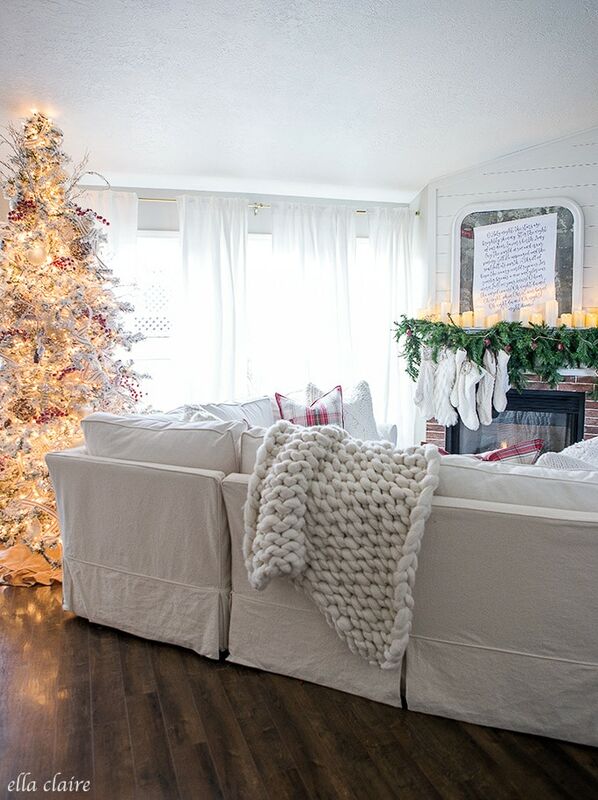 I am sharing our favorite room today all dressed up for Christmas- the family room! And, of course I am sharing our Christmas tree as well. 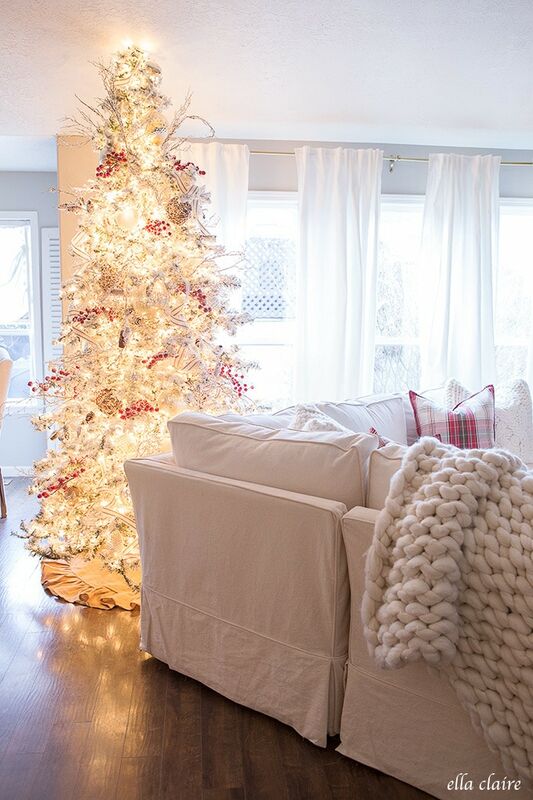 If you missed my “How to decorate a Christmas Tree” series on Instagram, I talked all about how to set up, fluff, decorate, and add ribbon to an artificial tree. 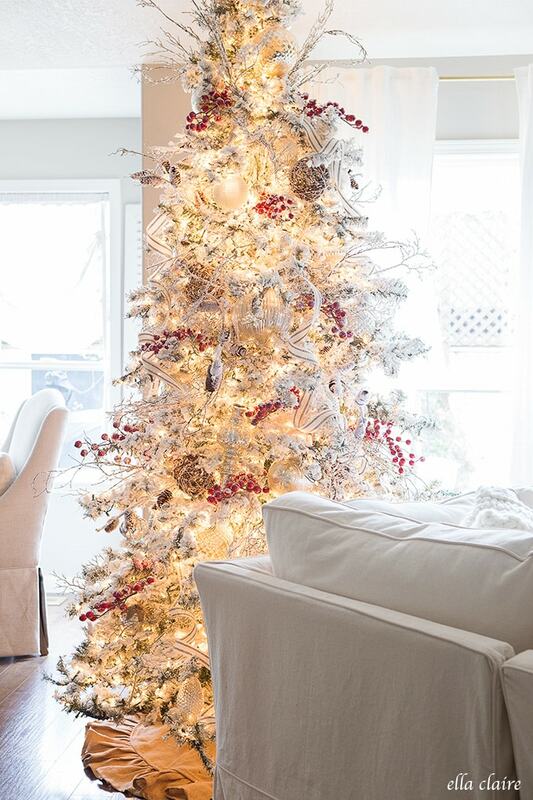 I uploaded the videos to my blog HERE if you would like to see some of my best tips and tricks for a beautiful tree! Christmas is my absolute favorite holiday. 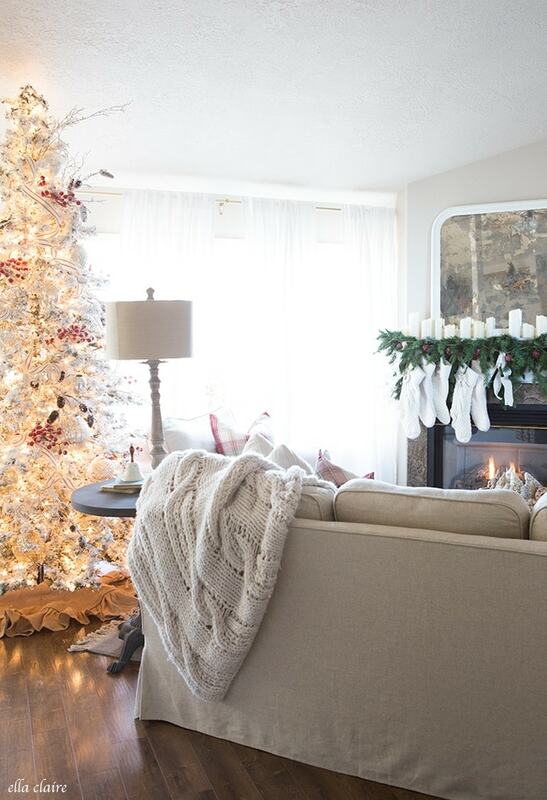 I love the coziness and magic in our home all season long! 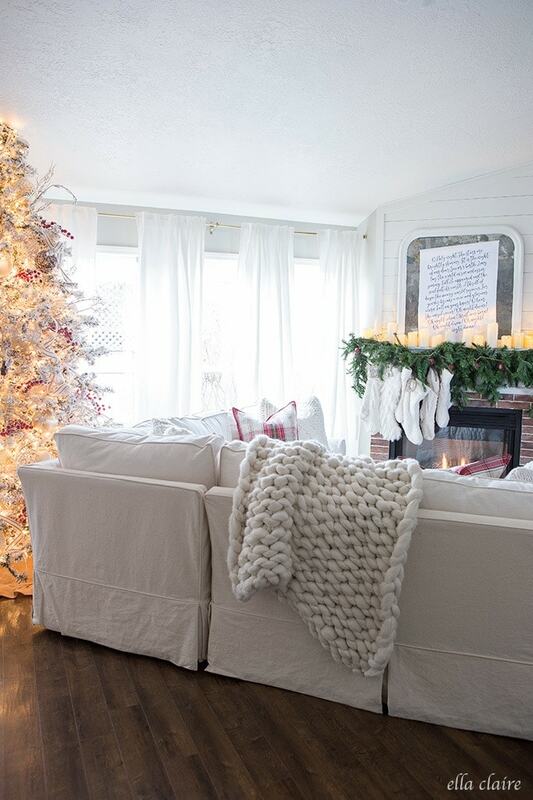 Today I partnered with Homegoods to share our cozy Christmas family room and it is all about warmth and texture, with creams and pops of red. I will also list all of the additional sources below (you can also visit this source page for items as well). I decorated my Christmas tree almost pretty close to the same as last year. I really loved all of the layers and textures. I will actually be changing it up a little in the next couple of weeks for someone exciting who is coming out to photograph our home. Most of my ornaments are from Homegoods that I have collected over the years. Here in Idaho, we have all 4 seasons, which means we are lucky enough to have the cold, rain and snow. And I am not being sarcastic at all- I LOVE all of the seasons- especially the snow. 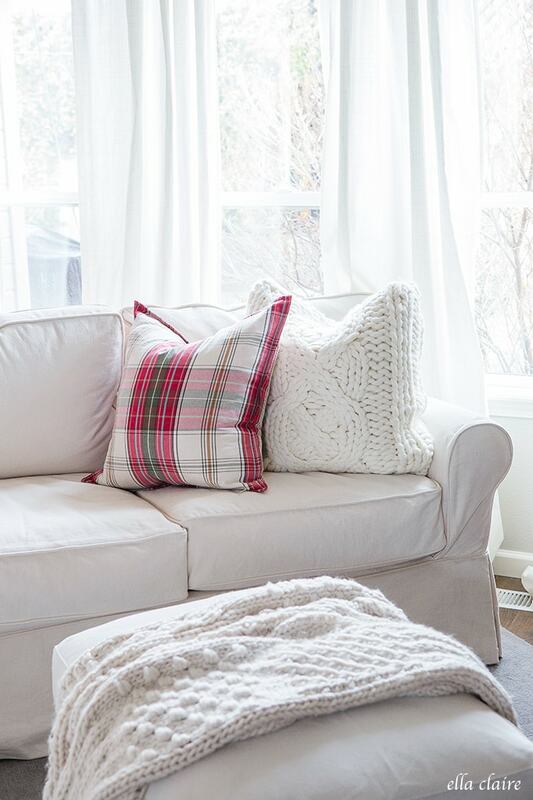 During this time of the year, I love to add layers of cozy pillows and throws to our couches for snuggling with my babies. 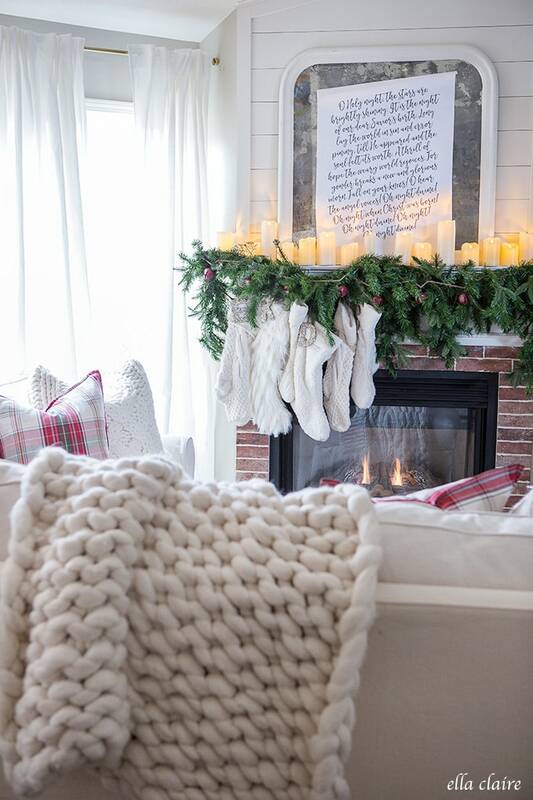 I found these beautiful chunky pillows and throw from homegoods and they added the perfect layers in our family room. I can’t wait until I can see a blanket of white snow out of these windows! You may have noticed that we have a sectional in here now (we had a couch and a chair in here before). We moved the sectional in from my she shed to try it out and although the sofa and chair fit a little better, we are loving the functionality of the sectional. 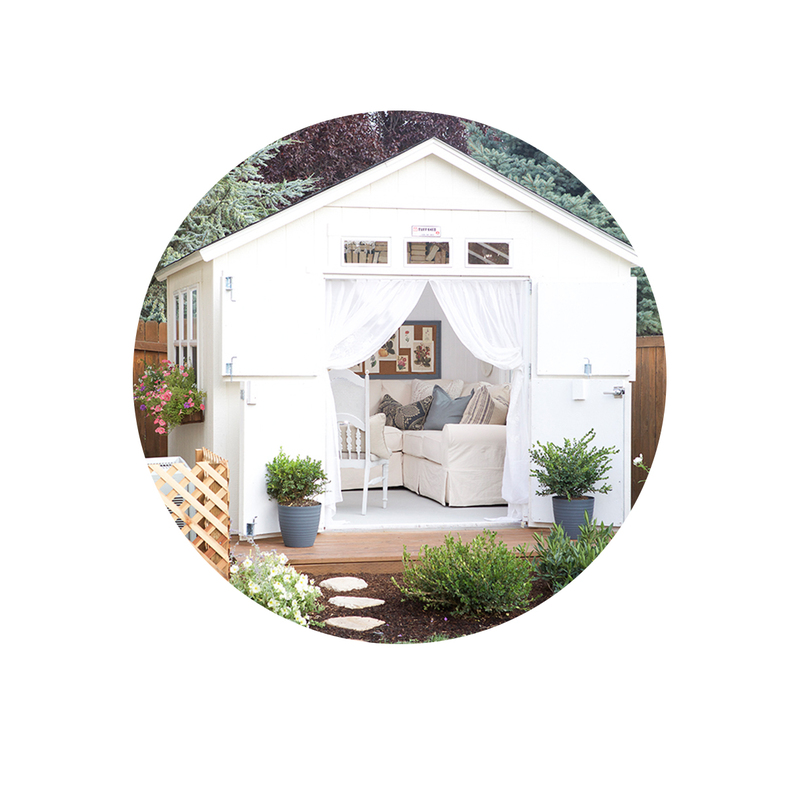 It is just so cozy and comfy and we have been spending a lot more time snuggling and reading to our babies in here. With 3 kids and another one on the way, it is just a lot more practical for our family. 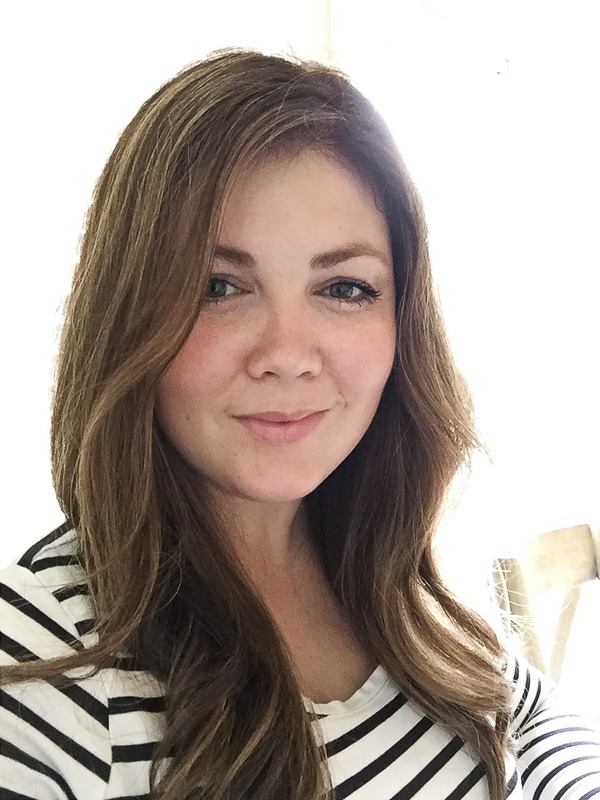 I also traded out the coffee table for an ottoman- but I will share more about that in a different post. 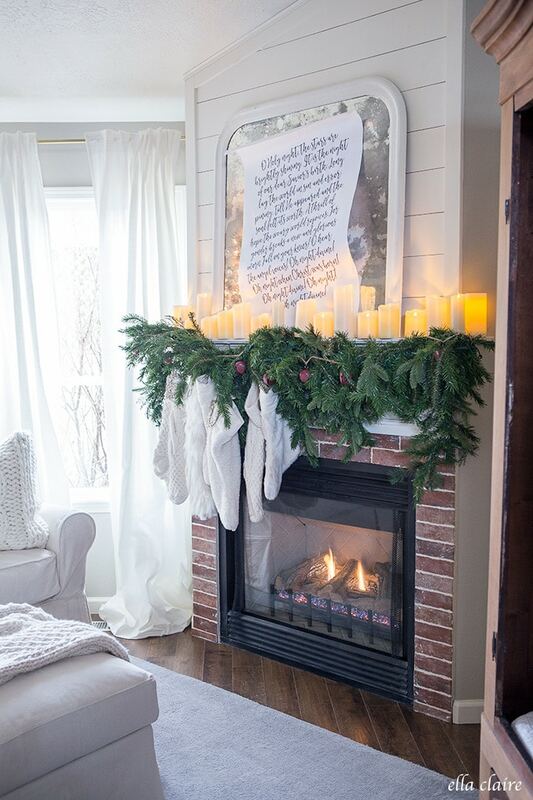 We added brick tile over the old tile on the fireplace a few months ago- I still need to post that tutorial! I also added some planking above the fireplace and I love how crisp it made the space feel. And I love the way the garland looks with it. Is it weird that I want to keep my tree up all year long? I just love the warm glow. And the pops of red. I found this big fun basket which fit perfectly to hold extra blankets. I was wishing that the sectional was just a foot longer before I thought to add the basket, and it actually worked out even better- much more functional for the extra storage. 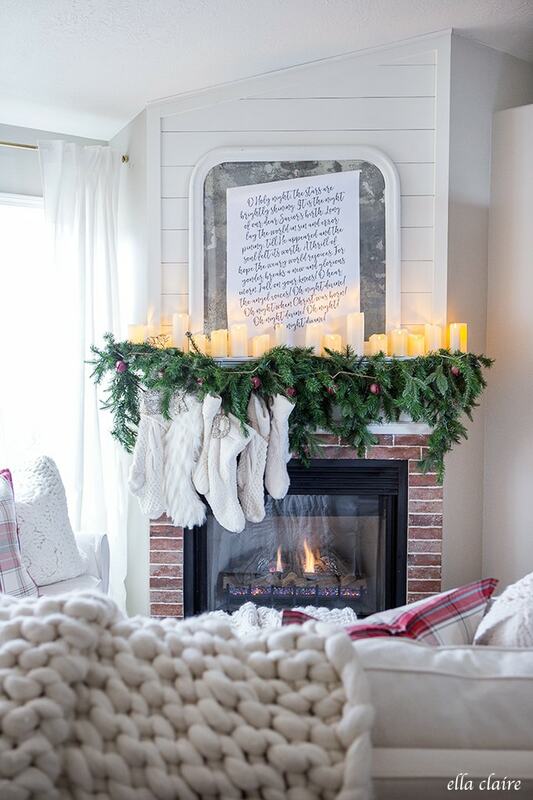 You can download this free printable “O Holy Night” poster HERE. You can take it and have it printed for only a few dollars and it has such a beautiful sentiment. 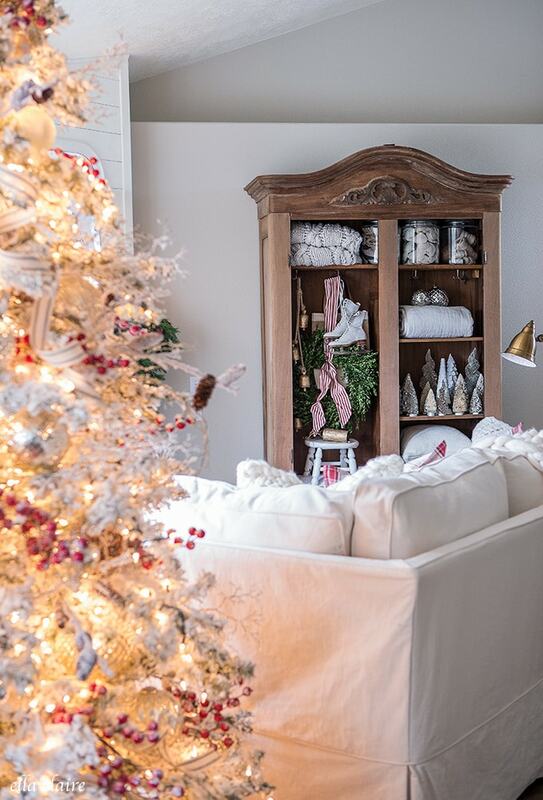 I hope you enjoyed my little Christmas family room! 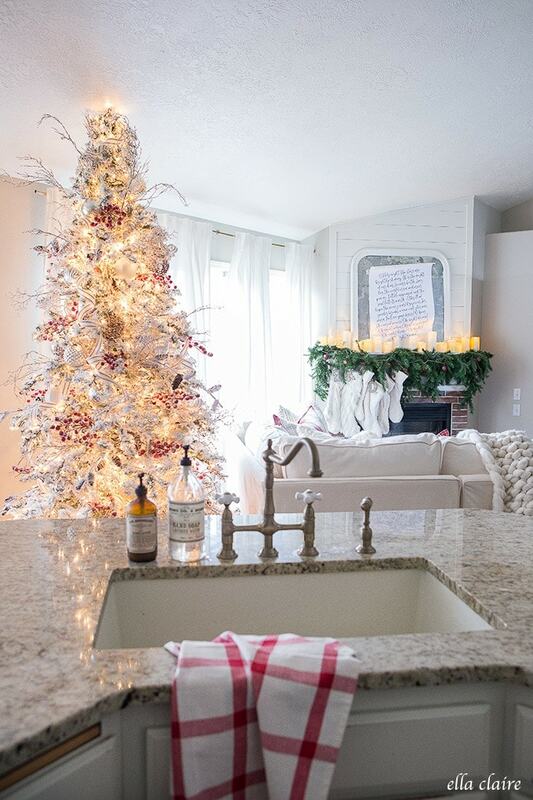 Next week I will be back to share our Christmas bedroom- which is such a fun space to decorate for the holidays. I love having a Christmas tree in our room. 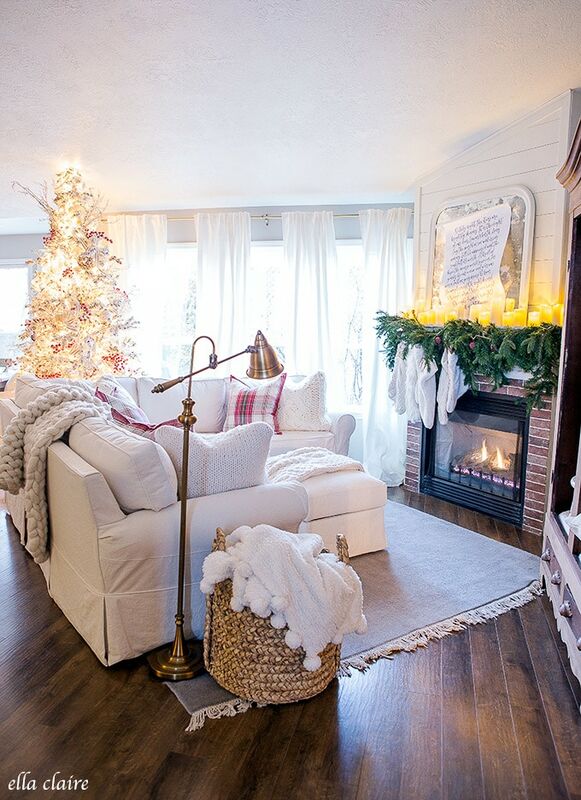 I know you will enjoy these other family rooms in our Seasons of Home tour today! 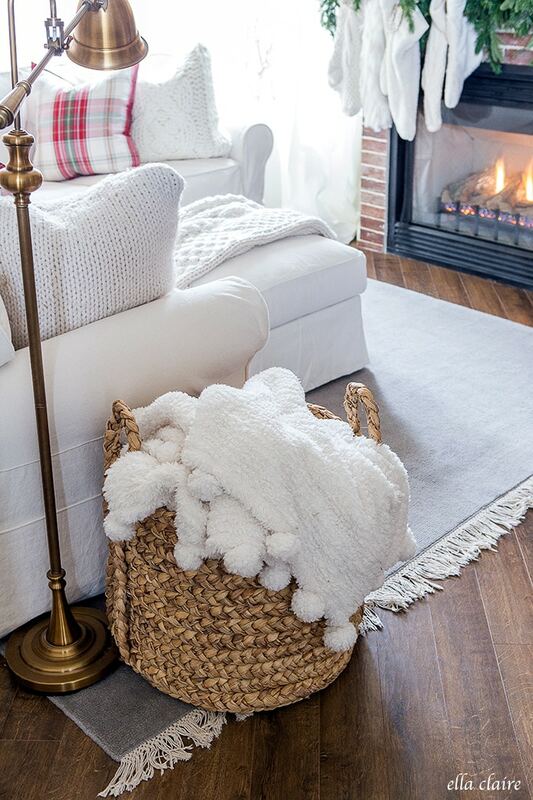 There is so much beautiful inspiration for every style! You can also find my sources listed at the bottom.